Today I have a bold, multi-layered card for you. I made this for the 2018 Autism Awareness Blog Hop that’s happening right now but I love how it came out so I thought I’d share the craftiness here too. I had a bright blue and silver alcohol ink piece ready made which I decided to use as royal blue is the offical colour for Autism Awareness. Plus I love blue so win-win in my book. If you don’t have alcohol inks yet, I urge you to try them!! It’s so much fun! This is actually quite a simple card to make but it looks complex thanks to some clever foam sheet, a cover die and those lovely layered sentiment stamps from Neat & Tangled. It also wouldn’t be a card from me without some heat embossing and sequins, right?? My card base is made with Lawn Fawn Licorice card stock, I love this smooth card stock and reach for it all the time when I need black card stock. Speaking of which, I need to order more as I’m down to my last few sheets!! Yikes! The cover plate I used for this is the Neat & Tangled Polygon Cover Plate and I attached the alcohol ink piece to the foam before I ran it through my BigShot, which I thought was rather genius to avoid the fiddling with all the small pieces. My original idea was to remove all the tiles and use them on another card but once it was diecut I loved it so much as it was, I decided to add the whole thing to the card base. I did take out 5 tiles before I did that though as I wanted a really dimensional look for this card to represent the different “layers” of autism and that it’s not a “flat” diagnosis if that makes sense? These loose tiles I adhered to the card, slightly off the spot where they had been taken out off and then I added a sequin to both the tile and the hole it left behind. These are from Pretty Pink Posh and are called Sparkling Clear Sequin Mix. This is one of my favorite mixes ever as it has sequins in so many sizes! For the sentiment I used Neat & Tangled again, this time the stamp set called Together and the coordinating diecut. I love these as they have that ‘shadow’ die cut, i.e. the layering die cut. Another genius idea! I cut one of them in both black card stock and foam sheet so I could layer that up too. I stamped the ‘Together’ bit on the black piece of card stock and heat embossed it with Altenew Platinum crisp embossing powder. It looks gorgeous if I may say so myself. It just melts like butter and is all smooth. The other part of the sentiment, ‘we’re in this’, I stamped with Altenew Tide Blue ink on white card stock and trimmed down. This little slip I adhered to the card just under the tile in the top right corner and secured it with some Multi Media Matte. Well, there we have it! If you have the time, you should definitely check out the Autism Awareness blog hop as there are so many fun and fabulous projects to get inspiration from and Vanessa is surely on standby to help you out if you find some stamp or die set you simply neeeeeeeeed. No judgement from me, promise! Love this card! Love this store. I love the detail of the popped out pieces! Thanks for sponsoring this important hop! What a worthy cause for this blog hop! Your card is AWESOME! Thanks for sponsoring! What a phenomenal card!!! 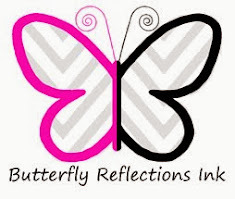 Thank you for also being a sponsor in a wonderful blog hop for such a worthy cause!! Fantastic creation!! Thanks to everyone who are part of the awesome blog hop, and to the sponsors! Like your use of alcohol inks. Never used them yet. . Thanks for sharing and taking part in this blog hop. So glad so many people came together to do this. Fabulous card for such a worthy cause! Thanks for being a sponsor! Wonderful card, must try the alcohol inks! Thanks for being a sponsor for this worthy cause. What a bold and neat card! I love the blues and the dimension the layering gives to this great card! What a way to give awareness to a great cause. Thanks for supporting Autism! The card is fabulous! Love the alcohol inks and the way you popped those pieces out. Grateful for your sponsorship and support of autism awareness! Love how you have a few pieces displaced. Wonderful card. Thanks for supporting the Autism Awareness Day & Blog Hop. Your card is fantastic ! I love the work on the colors for the background. Thank you for participating in this blog hop. Your card is gorgeous! I think you shared this card on your blog too. Still blows me away! Gorgeous and wonderfully graphic. Love that you removed some of the die pieces and attached them near the openings - so impactful and clever. Beautiful card! Love the geometric look with a few of the pieces taken out. Amazing card! I love the fun cover plate and your gorgeous design. Thanks for being part of the hop and helping raise awareness of the autism spectrum! Thanks for participating for this great cause. Your card is so creative. Amazing card, thanks for sponsoring the hop. It's a cool card for a great cause ! Gorgeous background on this great card! Your card is amazing! Thank you for being part of this amazing hop. Erica, your card is a great depiction of what I expect Autism would be like for a child with this. This card is some serious eye candy and I don't think I could ever get tired looking at It! This card is awesome. Thank you Vanessa for participating in the autism awareness blog hop. My 8 year old nephew is autistic. He's non-verbal but he loves music and likes getting his hands messy with ink after I stamp various images. This means so much to me. Gorgeous card - love all that blue. Wow!! Fab card!! Thanks for sharing!! Super love Erica's beautiful card! I really like the “together” word being the focal point. so pretty - the 'together' sentiment is just perfect! What a wonderful card..Love the background so much.. The sentiment means a lot to me. I’m the mother of a 15 yr old kind, funny and amazing boy with autism. I always remind him that I’ve got his back no matter what. Great card for a great cause. What a beautiful background, fantastic card! this card is stunning, the color is awesome!! Such a pretty card! Love the color and the likeness to puzzle pieces! The alcohol inked background is beautiful! Love the sentiment you chose for your card. Oh, goodness! I saw this card earlier this week on cacacraft blog and loved it but didn't realize what you had done with the layers!!! I LOVE that. It's stunning for one thing but the meaning behind it is awesome! Autism is most definitely not a flat diagnosis, there are so many layers! Thanks for expressing it on your sensational card! This is a fantastic card! The coloring is gorgeous and I love how you offset some of the pieces. The sentiment is so encouraging and I know it would brighten anyone's day. I absolutely love this card. It's so creative and fun. Perfect blue for Autism awareness! Thanks for your support. Very clever. I like the dimension. This is very creative and so perfect for the theme! Love! I LOVE that blue alcohol ink bg - I have used the technique many times and never get tired of it. Great card too, love the "Pieces" that fit together. Thanks for supporting this great cause - My daughter teaches kids with autism, so this is near and dear to my heart too! This card is gorgeous. Love the colour palette. Thanks for supporting this cause. That’s such a wonderful card !